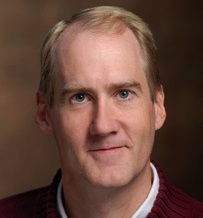 Peter van de Graaff is recognized nationwide as a leader in classical music broadcasting. After beginning his radio career in 1984 at KBYU, he came to 98.7 WFMT as a staff announcer in 1988. For the past 25+ years he has been the host of the Beethoven Network, a nationallysyndicated daily program carried on over 200 stations. Since 1996 he has been the program director of the service as well. He has also hosted such nationwide broadcast series as Vienna Philharmonic Orchestra, the Van Cliburn Piano Series, operas from the European Broadcasting Union, the Lyric Opera of Chicago, Music of the Baroque, and the Vermeer Quartet. In addition to his distinguished career in media, Peter has sung to great acclaim throughout the world. He performed and recorded a Mass by Jan Vorisek with the Czech State Symphony under Paul Freeman and has also sung Beethoven's Missa Solemnis throughout the Czech Republic and Poland with the Czech Philharmonic. He appeared in Berlin with the Chicago Symphony Orchestra in Schoenberg's Moses und Aaron. In Budapest he sang with the Budapest Concert Orchestra in Verdi's Requiem, in Tel Aviv, the Israeli Chamber Orchestra joined him in a Mozart Mass, and he has appeared in Tokyo as a recitalist.